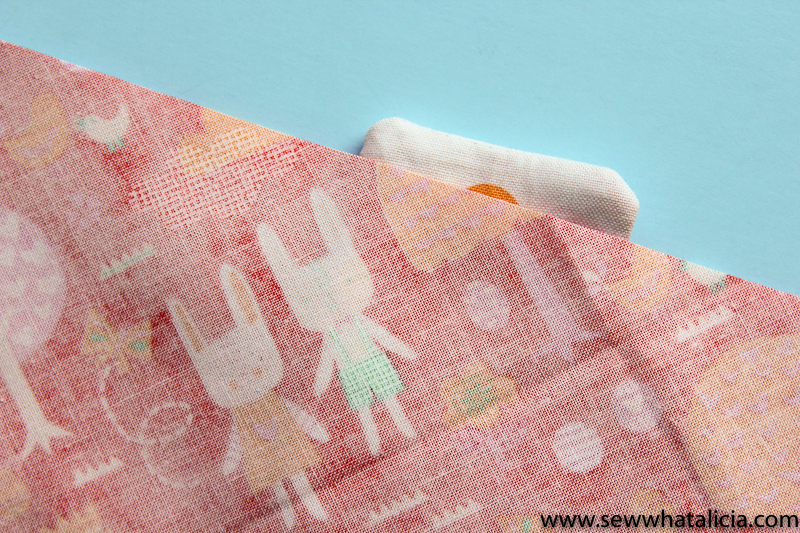 Crinkly Bunny Lovey Tutorial - Sew What, Alicia? You know when you buy a baby toy and it makes that fun crinkly noise? I wanted to play around with creating that sensation so I came up with this fun tutorial! 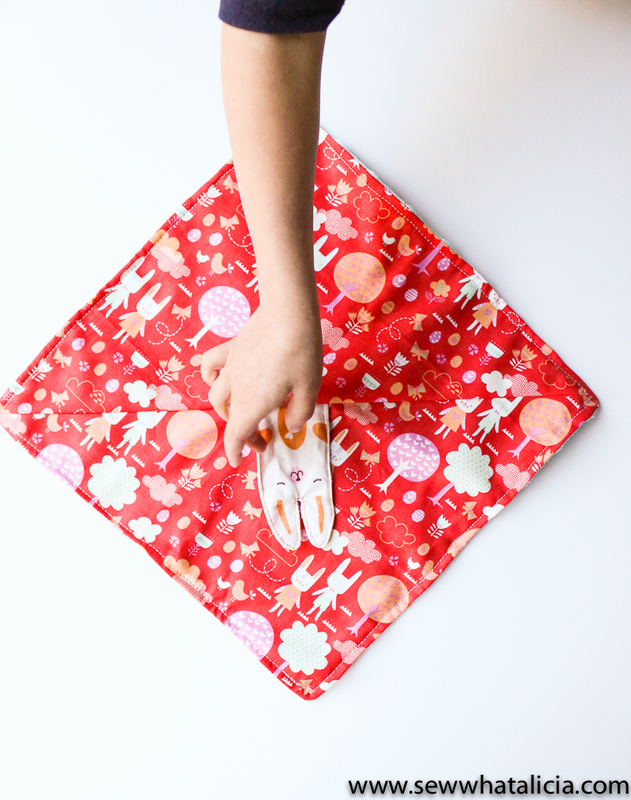 This crinkly bunny lovey tutorial is the last of the fun tutorials with this spring bunny fun fabric and it is maybe my favorite! See also Easter Egg Appliqué and Mini Easter Quilt. Here is a crinkly bunny lovey tutorial! Cut out the small bunny from the spring bunny fun panel. Then cut a piece of the cereal bag to the same size. Fold the bunny in half and place the cereal bag on top. Pin in place and then sew around 3/4 of the bunny. Leave the side open to turn the piece. Notch the curves and trim the corners. Then turn the piece out. Pin the open edge closed and top-stitch around the bunny. Now take your 12″ square and cut it in half diagonally as pictured below. Fold one of the triangles in half to find the middle. Place the bunny in the middle and then pin the two triangles together right sides facing. Sew along the long edge. Now your bunny will look like this. Isn’t this just the sweetest? This would be perfect in an Easter basket for a new little one! !